Land speculator, born in Boston, MA, he came to Washington in 1793. 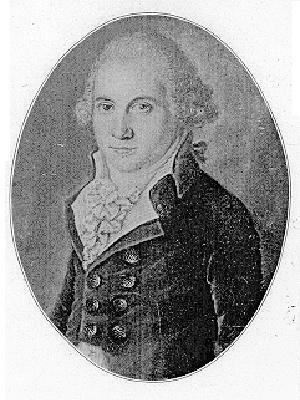 He was appointed consul for the United States at Amsterdam where he hoped to secure the financial support for the development of the new federal city. 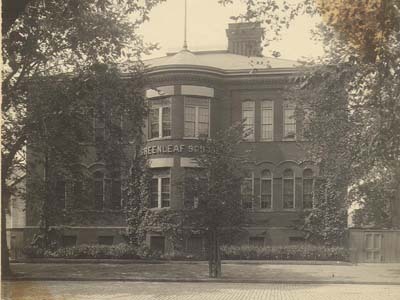 Greenleaf built the historic “Six Buildings,” and owned much of Greenleaf’s Point (now Ft. McNair). 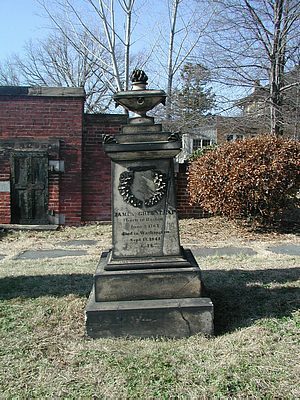 He played a prominent role in financing the development of early Washington, but his many complex real estate transactions led to bankruptcy, and he spent the last years of his life with his sister who had married Judge William Cranch, a cousin of President John Quincy Adams. 4th between M and N streets S.W.